1 of 4 Brodno by Jens Haaning. Brodno Sculpture Park. Courtesy of City of Warsaw. Brodno by Jens Haaning. Brodno Sculpture Park. Courtesy of City of Warsaw. 2 of 4 Sylvia by Pawel Althamer and Nowolipie Group. Brodno Sculpture Park. Courtesy of City of Warsaw. Sylvia by Pawel Althamer and Nowolipie Group. Brodno Sculpture Park. 3 of 4 untitled (overturned tea house with the coffee maker) by Rirkrit Tiravanija. Brodno Sculpture Park. Courtesy of City of Warsaw. untitled (overturned tea house with the coffee maker) by Rirkrit Tiravanija. Brodno Sculpture Park. 4 of 4 The Garden of Eden by Pawet Althamer. Brodno Sculpture Park. Courtesy of City of Warsaw. The Garden of Eden by Pawet Althamer. Brodno Sculpture Park. For decades Warsaw has been divided by the River Vistula, with the eastern side of the city suffering from economic underdevelopment and lacking public and cultural institutions. Fourteen city theatres are located to the west of the river, with only three on the east; galleries, museums and other cultural institutions are distributed in a similar proportion. This means that residents of the eastern part of the city have limited access to culture, which emphasises and increases their social exclusion. New transport infrastructure is one way that the city is being drawn closer together. Warsaw’s second Metro line opened in 2015, crossing the Vistula river, and it is hoped that this will have important social consequences. However, there is no substitute for offering local cultural access to all residents of the city. Bródno is one of Warsaw’s most diverse neighbourhoods, located on the east side of the reiver, with a population of around 100,000. Bródno Park is located in a residential area which does not traditionally have much artistic activity. 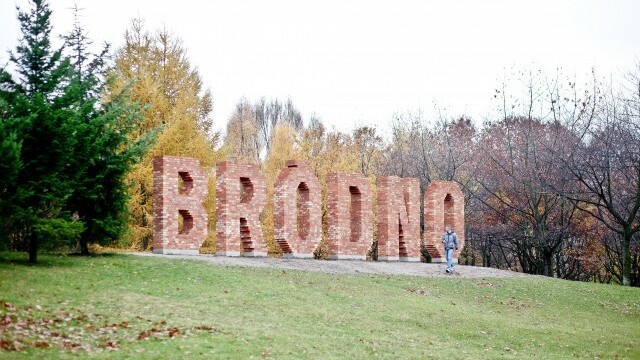 The Bródno Sculpture Park aims to bring more culture to the east side of the river. 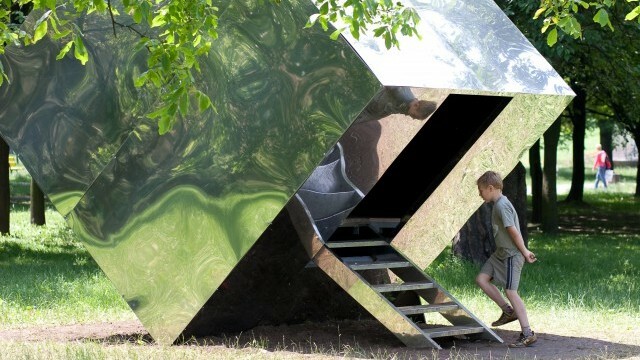 In 2009 an initiative was started to turn Bródno Park into an open-air contemporary art gallery, while maintaining its recreational character as a park. This was led by the artist Paweł Althamer, with participation by the Warsaw Museum of Modern Art (which is based on the other side of the river), the City of Warsaw, and local authorities in the district of Targówek. The aim of the project is to make contemporary art a part of everyday life of the district, and to make its inhabitants more involved in the creation of public space. Every year since 2009 there has been a new edition (“chapter”) of the project, increasing the park’s collection of contemporary sculpture. Artists who have contributed works to Bródno Sculpture Park include Ai Weiwei, Youssouf Dara, Olafur Eliasson, Jens Haaning, the group Nowolipie, Susan Philipsz, Katarzyna Przezwańska, Monika Sosnowska, and Rirkrit Tiravanija. As well as sculptures and other permanent works, the art has included more transient interactive experiences and activities designed to engage audiences. From the start, the project partners knew that the main challenges would be prejudice against contemporary art and the need to engage the local community in the project. Promoting democratic values and critical thinking – the mission of the Museum of Modern Art – remains a big challenge in this area of Warsaw. There have been a number of incidents of vandalism of artwork. It has also been difficult to engage local commercial partners in the project. Nonetheless the Bródno Sculpture Park has succeeded in increasing public engagement. An example of this is the ‘Burghers of Bródno’ project, run by Paweł Althamer in 2016. Over the course of a number of workshops, 150 residents were involved in the process of creating a temporary sculpture – a collective self-portrait – to celebrate Bródno’s 100th anniversary as part of Warsaw. The workshops were held in places where Bródno residents spend their time, including a gym, a ceramics workshop, a refugee centre, a church, a restaurant, and the park itself. Another important outcome of the project was a grassroots initiative to install electricity in the Rirkrit Tiravanija installation “Overturned tea-house with the coffee maker,” in order to turn it into a café run by local residents. This was funded by the Warsaw participatory budgeting system, in which all permanent residents of the city have a vote on how the city distributes some of its funding. In 2017 the ‘Burghers of Bródno’ project will continue. The sculpture that was created in 2016 is being cast in permanent form, and will be installed in September 2017. 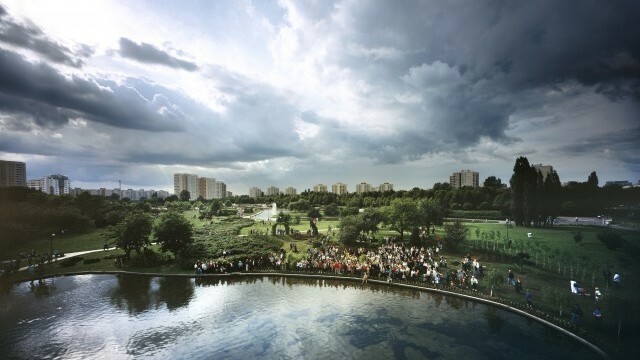 Alongside this, staff from the Museum of Modern Art will run an educational programme seeking to increase the identification of local residents with the contemporary art presented in the park. This programme will involve invited guests (artists, academics, activists…) and will develop proposals for the use of art to meet the needs of diverse audience groups. There will be three residency sessions for artists, placing them for several weeks into environments such as the police station and the PGR Bródno riding centre. These are inspired by the work of the Artist Placement Group in the UK in the 1960s, where visual artists worked in schools, hospitals and offices, using their creative skills (imagination, negotiation, innovative thinking) to improve the quality of their services. The programme will also focus on the creative activities of the local residents, whether professional or amateur. This focus is inspired by observations made during the original participatory ‘Burghers of Bródno’ project in 2016. • The project has showed that it is possible to show and promote contemporary art even in neighbourhoods where people are not in the habit of going to art galleries. The key is to engage residents in the process, rather than simply delivering a cultural product.